We know full well that extent and volume have behaved differently during the historical period. This paper provides strong evidence that conclusions drawn from a data span as short as the historical period are biassed. A plot of volume from the historical period only is doubly biassed, first because the period considered is too short to capture the range of variability and second because its volume rather than extent. I think this is a good argument only without context. If we knew nothing about the past temperatures and conditions of the Arctic and the world, then yes, a mere volume plot would be doubly biased. 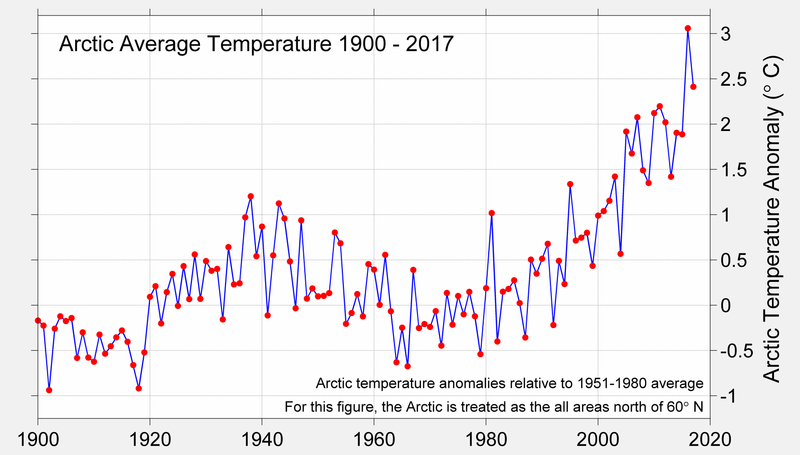 But we do know quite a bit about the state of the Arctic for much longer time frames than 37 years. There is every reason to expect that it was very cold, central volume and area was much less variable. There is every reason to expect multiyear ice to dominate the Arctic for thousands of years. The fundamental mechanics haven't changed. Heat is still being transferred by radiation, conduction and convection. Ice still melts and water freezes according to imbalances in energy transfer at the phase interfaces. Air and water are still moving in response to pressure gradients. The Navier Stokes equation is as valid then as it is now. True, but all values in the fundamental mechanics are changing. Some of them are bounded by fundamental physics and some of them are bounded by changing conditions and phenomena. As these values change, the models diverge from observations. The way ice moves in response to the stresses exerted on it by air and water is not well understood and its quite possible that the equations used for it and the parameters fitted to them work better in an Arctic dominated by MYI, but its also possible they work better in an Arctic dominated by FYI and the models are actually representing that aspect better. I doubt it. For example, the models were created for a desert climate but the arctic is changing to a maritime climate. The models will need some extreme luck for changes in atmospheric and oceanic pattern that this climate change is bringing to result in better accuracy. New models can bring better accuracy. But if they show near term destruction, who is going to believe them? There's strong evidence in this paper that the high melt years in 2007-2012 are at the extremes of melt below the trend and 2013 is on trend, and the reason that isn't obvious from the historical record is that the historical record is too short. You must forgive my insistence, but this is so unbelievable. When one considers the changes in thickness/volume it becomes even more unbelievable. I just think about the changes in ice behaviors around the Bering and Chukchi and I admit I start getting emotional because the danger is so real. Let's not even mention the changes North of Svalbard. 2012 was obviously below the trend, but 2013 was not "on-trend". More likely that 2013 was a rebound year, literally caused by the 2012 ice loss. The mechanism being that in 2012 the Arctic ocean was colder. When it lost the ice cover for the first time in millennia the ocean gained a lot of heat and the atmosphere lost a lot of heat, creating perfect conditions for mass freezing. That massive freezing ceased as heat/salinity changes started having a greater impact. That heat keeps accumulating resulting in increasingly hot winters. The physical basis for the 2013 refreeze and the behavior during the following years should be used to inform weak statistics. We have a historical temperature record with multiple El-Ninos in it so its obvious when a misleading trend line is drawn in it by picking El-Nino/La Nina endpoints. If we only had one half of an ENSO period in the historical data it would be extremely difficult to get a reliable trend from it. Thats the situation we are in with regard to ice extent in the Arctic. The historical period is too short and trends in it are liable to substantial bias. Why would you expect for the ice to comeback or 2013 be on trend when temperature is way above trend? Isn't it more likely that the models are missing huge elements of a changing climate? That important caveat, combined with the failure of most of the model runs to account for the Arctic loses tell me that the models are likely wrong.